Netflix has released the first official trailer for their upcoming Spring Break comedy, The Package. Check out The Package trailer and poster below! 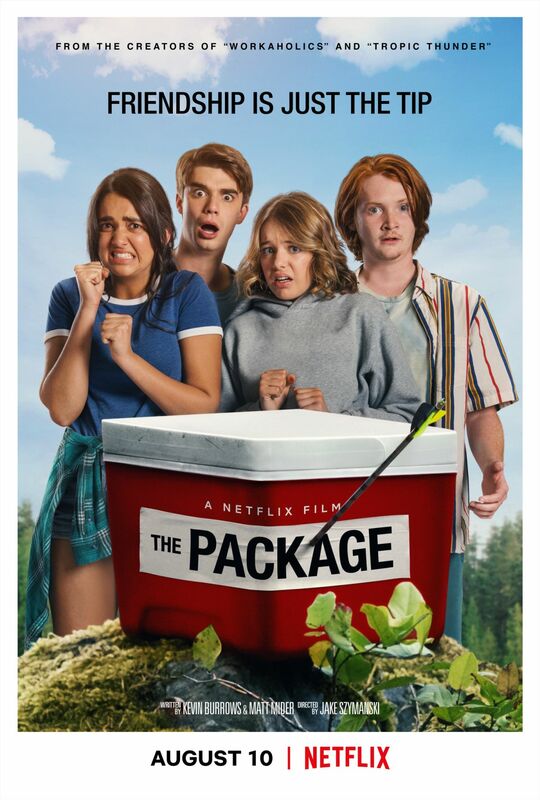 The Package stars Daniel Doheny (Alex Strangelove), Geraldine Viswanathan (Blockers), Sadie Calvano (Mom), Luke Spencer Roberts (Phoenix Forgotten), Eduardo Franco (American Vandal), Michael Eklund (Wynonna Earp), Gary Jones (Stargate SG-1), Alexander Calvert (The Edge of Seventeen), Sugar Lyn Beard (Sausage Party), and Blake Anderson (Workaholics). The film was directed by Jake Szymanski (Stepbrothers) from a screenplay written by Kevin Burrows (The Croods) and Matt Mider (Gentlemen Lobsters). Nicholas Weinstock, Adam Devine, Anders Holm, Blake Anderson, Kyle Newacheck, and Ross M. Dinerstein produced the Netflix original. The Package will be available on Netflix on August 10, 2018. The post The Package Trailer: Netflix Takes Raunchy Teen Comedy to the Woods appeared first on ComingSoon.net.